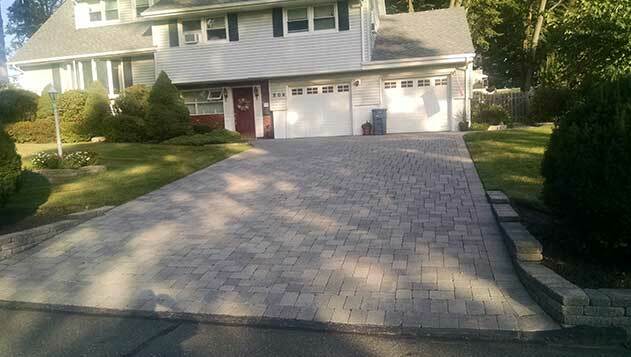 Find reputable Ramsey heated driveway and sidewalk construction when you call (201) 327-5258 today. This unique concept offers a host of benefits and will make your winters much easier. Give us a call for a free estimate. You can have instant access to our current online deals and coupons when you click here. Sometimes, a driveway or sidewalk looks like any other, but underneath there is something exciting going on. This is the case with heated driveways and sidewalks, and while they are usually more luxury than necessity, they still make quite the statement and provide a valuable service. Interested in what people in your area are saying about our services? Click here to find out! Why Would I Want a Heated Driveway? For many, having a heated driveway is the epitome of unnecessary indulgence, but for others it serves a great purpose and makes their lives a lot easier. In areas that are prone to heavy snowfall like New Jersey, a heated driveway will remove the snow without the homeowner having to lift a shovel. For elderly people or those with limited mobility for other reasons, this can help increase their level of independence, and avoid injuries and acute health issues like heart attacks. A heated driveway is basically a radiant floor system that’s been installed outdoors. A radiant floor heating system heats the surface on the floor or in this case the driveway, radiating heat upward. When the temperature start to drop, heated water and antifreeze are pumped in tubing that’s been installed under the driveway and that heat melts the snow. All the homeowner has to do is flip the switch to engage the system and let it do the rest. With this type of system, professional installation is the only option because there are many different factors to consider. You may need a new driveway along with the radiant tubing, depending on the condition of your current driveway. You may also need your boiler relocated, and there is always drainage to consider. The fact that the whole purpose of installing the system is to melt snow on the driveway, that water must have somewhere to go before it turns to ice and endangers everyone that walks on your property. Look for a service provider with experience installing and maintaining heated driveways and sidewalks, and preferably one that is local so you can see examples of their work. If you’ve had more than enough of removing snow from your driveways and sidewalks, or if you are no longer able to for some reason, call McFarlane Asphalt today at (201) 327-5258 in the Ramsey, NJ area so we can go over your heated driveway options.